Wedding, Birthday Party, Anniversary Party, Corporate Party, Reunion? Hi. I am Mark from Anything Dj. 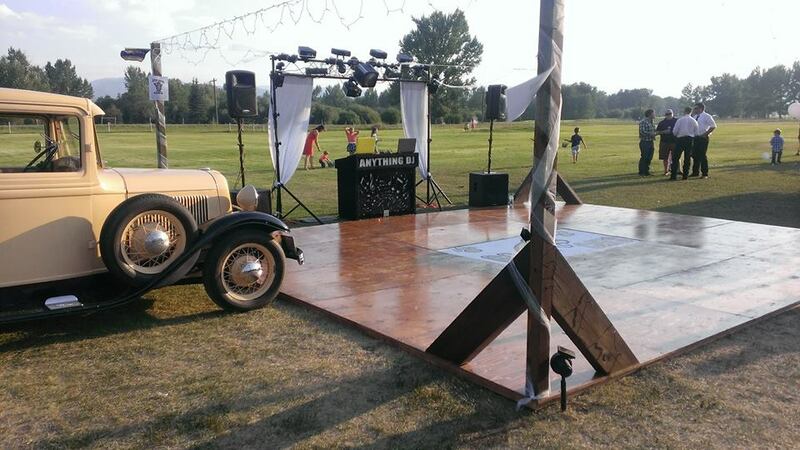 Anything Dj is a locally owned and operated Montana DJ service from Butte Montana. We have been in the disc jockey business for what seems to be a long time. I have personally been a wedding disc jockey for over 500 weddings now and I look forward to many more years as a disc jockey. Just so you know I did not pay some company to put this web site together for my disc jockey service. I have done all the work in hopes to help anyone planning or hosting a big event. As a Butte Montana disc jockey I have meet so many great people. I am involved in The Relay for Life, The national MS Walk, The March of Dimes, and any fundraiser that needs a disc jockey. I pride myself on being the very best for you. This web site is not just about my disc jockey service. On this web site you will find the numbers for catering, photographers, wedding officiators, transportation, Wedding rentals, wedding invitations, wedding dresses, formal wear, wedding jewelry, Wedding services, and much more. We are so much more than a Montana dj service we also have Wedding Guides to help get you on the right track with planning your wedding. Brides and grooms have told me when planning a wedding here in Montana to research what you need, so we researched for you. I recommend starting with the getting started pages in the appropriate section found below. 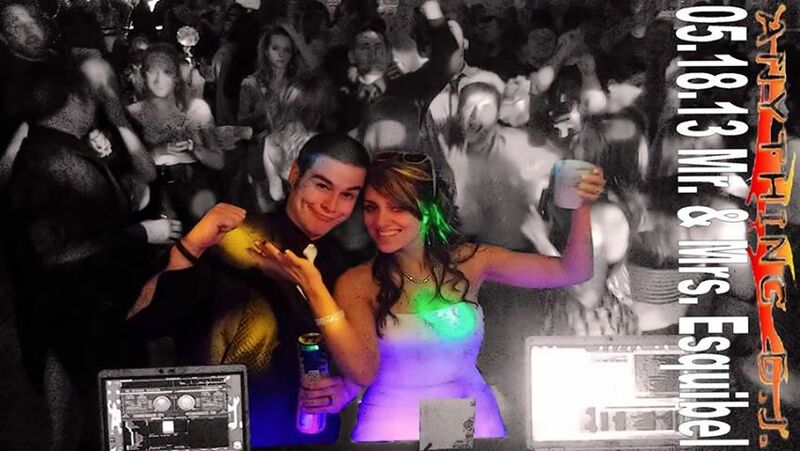 On this first page you will learn about who we are and what we do as a disc jockey service here in beautiful Butte Montana and surrounding areas. Please feel free to check out the google reviews of Anything Dj on google or just click customer reviews. Welcome to Anything Dj where we put you the customer first. 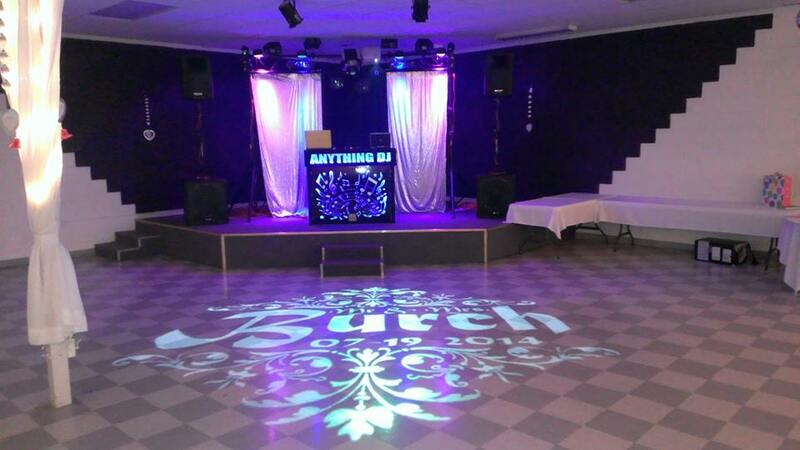 We know you’re wedding, birthday, or event needs to be top notch and we strive for the very best. 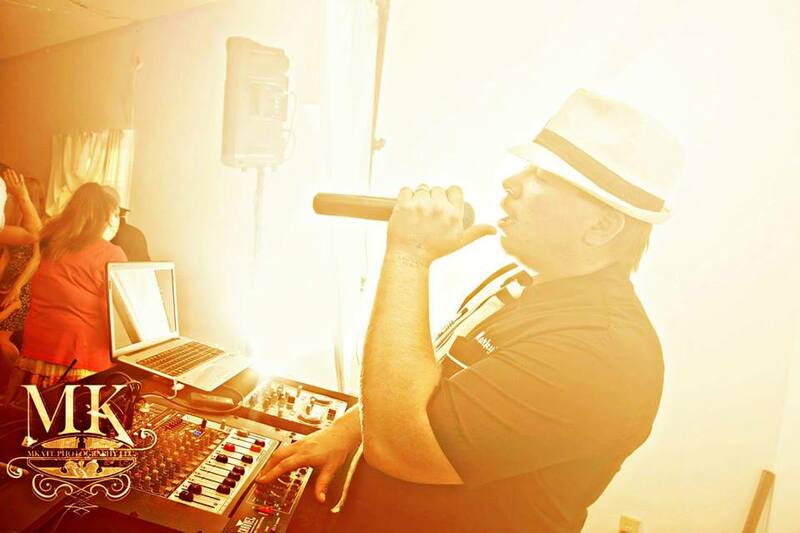 When we are disc jockeying or em-ceeing a event we are professionally dressed, perform professionally and most of all act professionally. 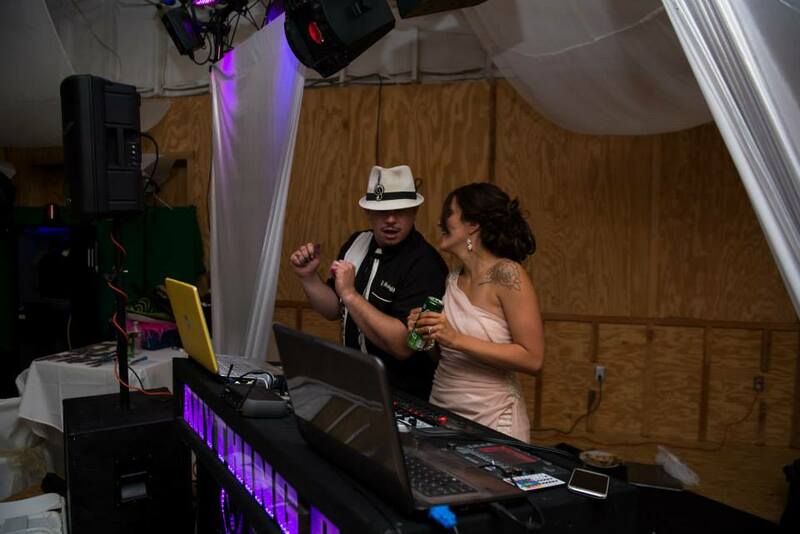 besides who would want a disc jockey at their wedding in shorts and a baseball cap. Montana Dj Services for you, the customer. Thousands of songs to fit your needs. 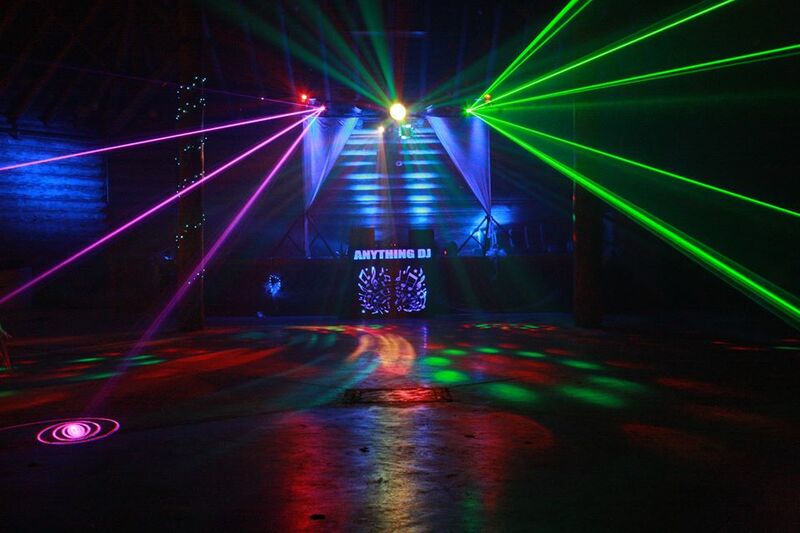 Great sound and party lighting at an affordable price. Excellent customer satisfaction as a top priority. customized play lists fit to you. It’s not all about us: It is about you! 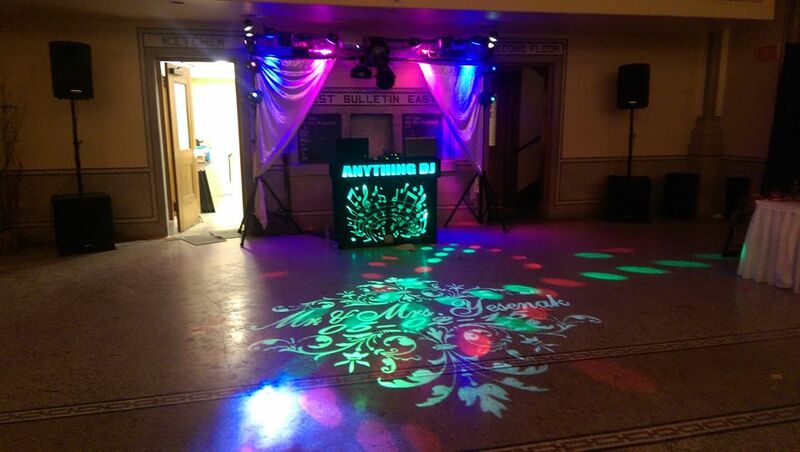 Here at Anything Dj we cater to customizing our services to suit all your needs. 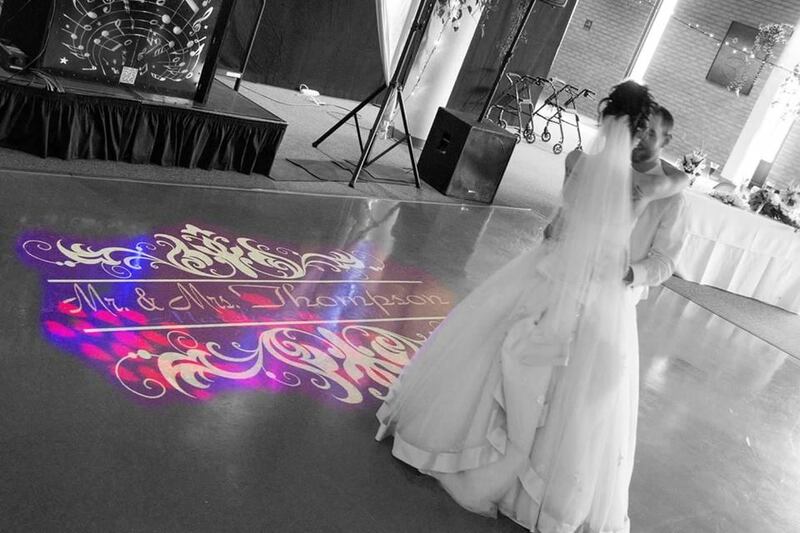 With over twelve years of experience in the disc jockey business you can feel comfortable about your day going off with out a hitch, well unless it is a wedding! LOL… When it comes to your big day we plan out your day exactly how you want it, we let you choose what events you want to happen during your event, and in the order you want them in. We invite you to explore our web page for ideas and to hopefully help you plan your big day no matter what kind of event you are planning, even if you are not booked with us. .
We offer disc jockey ‘entertainment’ to keep your party going. When it is the end of your big day you should hear your guests commenting “that was the best reception I have ever been to!” “Wow! What a blast!” That is when you will know you made the right choice in entertainment. 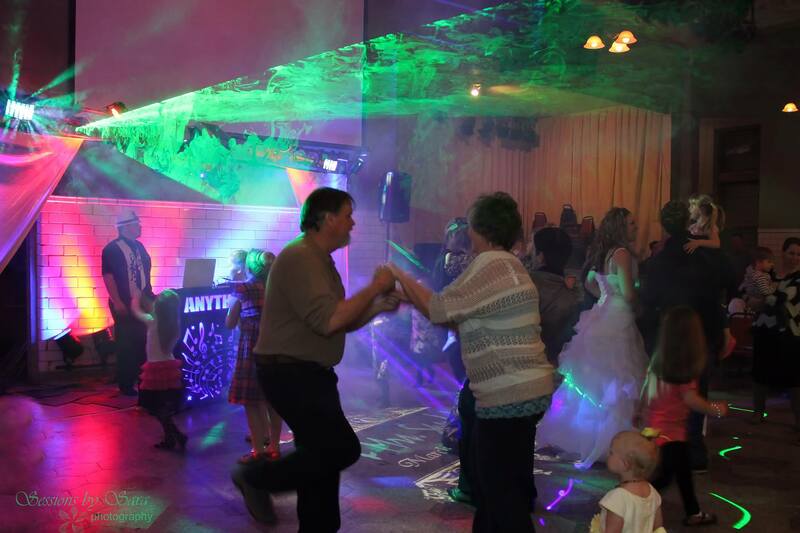 We captivate your guests in fun memorable events that keep them engaged and excited. We offer Day planning and we will walk you through all your events so you don’t feel lost on your big day. We don’t want for you to miss out on anything. Have you ever been to a reception where everyone was sitting around with a sleepy look on their face? This does not have to happen to your day. This day is about your needs and your guests entertainment. So why not indulge yourself? Change the music with the mood of the crowd and provide your guests with a memorable evening. If you have any questions please feel free to call or text me at (406)-491-5578. You can also email me at djmarkyjzweb@hotmail.com. 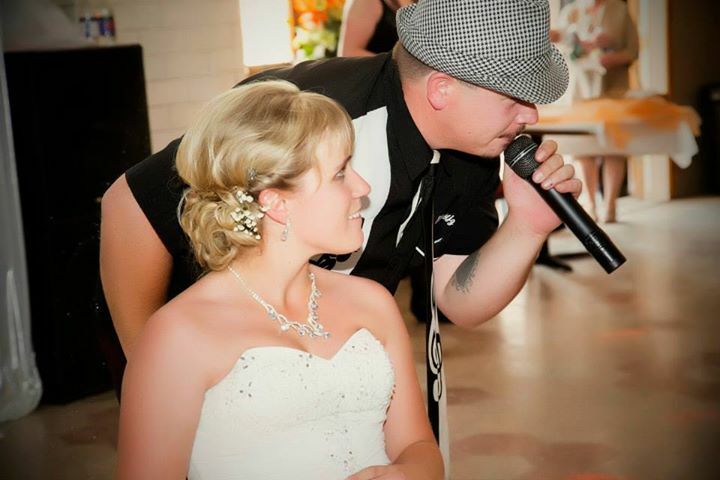 We have added a Karaoke package if you want to sing, we have all your favorite tunes. Now I’m not saying that you “have to do this” or “you have to do that.” This is your big day. I give you all your options and you choose what you would like. To view full Business cards right click on the card and select view image. Some cards are tied to the bushiness’s websites or face book so if you would like more information about a bushiness left click on the card to be brought to their information. To go back just click the back button on your browser. You will always find a menu bar at the top of the page to get back to here or in the section you are researching. Enjoy! Congratz! and happy event planning! To get started, select the appropriate listing for your event. Weddings – Keeping the day coordinated and moving. Keeping track of the events and making sure every one is aware of what is going on. When it is time to serve, when it is time to get the cameras out for the cake, or right down to the last minute moments that will forever fulfill your day. Reunions – Go back to “the day.” Remember that song? We customize music lists to coincide with your event. With wireless mic features we can go one class mate at a time and let them tell a little about their journey in life, where they have been, and what they accomplished. Or we can just dance to some of the best tunes from your times together. We’ll do anything at least once, and we get it right the first time. Anniversaries – Re-kindle the most treasured moments in life with the sounds that you heard on your wedding day. Throw in the good company of friends and a good time and what do you have? Corporate Party – You work all year long and now it is time to cut loose and play. Everybody works, now it is time for that work environment to become a fun enjoyable time. Our corporate parties will have you wishing next year’s celebration was just around the corner. Birthday Party – Is someone you know is turning a year older and you want to make a big impression? Do it the Anything way! Custom music lists tailored to the birthday guy or gal. Its time to give them a party they will never forget. Fundraiser’s – Get Tips To Plan A Fundraiser. Markjz Photo Page – A collection of photos of some good times. Watch out because Marky might just get a picture of you having too much fun at a event. Being a Montana Dj has brought me many different places for disc jockeying, and I have enjoyed all of them. 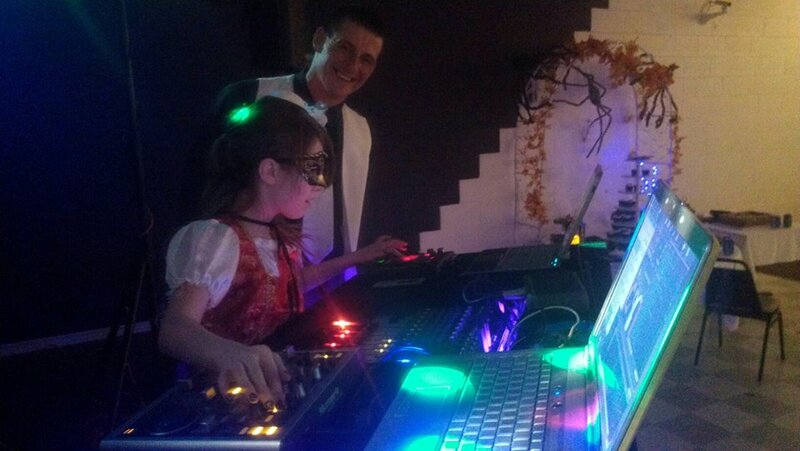 We are Montana’s DJ Service. The Relay for Life – Get involved in finding a cure for cancer. We have provided Disc Jockey services for the Relay For life for over 5 years and are very proud to be the Montana DJ service involved with the Relay For Life! 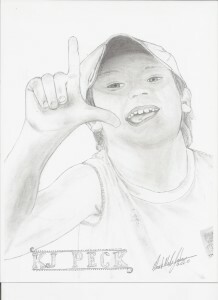 KJ lost his 7 1/2 year battle to Wilm’s Tumor on November 8, 2010. He was a hero to everyone who was honored enough to know him. He was an avid fan of the Notre Dame Fighting Irish, the Montana Grizzlies, the LA Lakers, and the San Francisco 49ers. He loved to hunt, fish, and camp, as well as tease his younger brothers and sisters relentlessly!! Until We Meet Again, we love you and miss you!! March of Dimes – When you walk in March for Babies, you give hope to the more than half a million babies born too soon each year. The money you raise supports programs in your community that help moms have healthy, full-term pregnancies. And it funds research to find answers to the problems that threaten our babies. We’ve been walking since 1970 and have raised an incredible $2 billion to benefit all babies. If you know of a local business not listed on this web site please contact me so that they can be added. If a business wishes to be removed from this web site please contact me. Anything Dj is not affiliated or associated with any bulkiness’s listed on this web site. 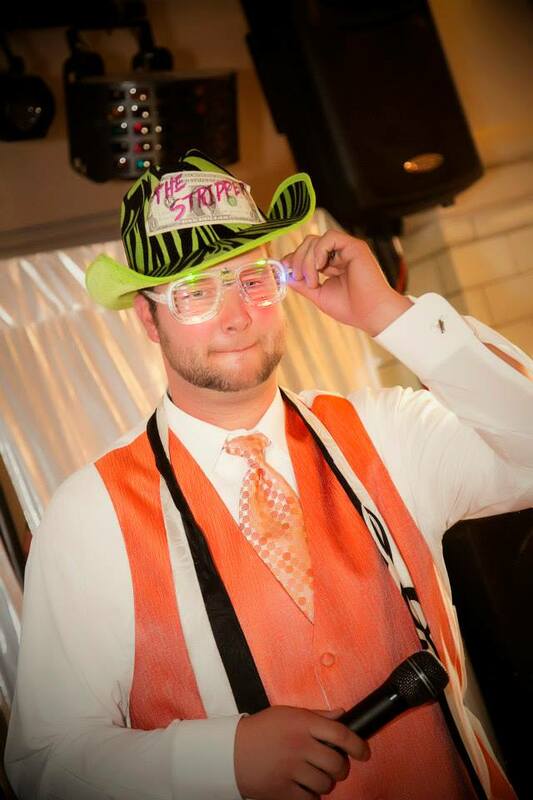 We invite all wedding vendors from Montana, even wedding djs Montana bases, wedding photography Montana based and wedding catering Montana service to send us a copy of their card to get listed. 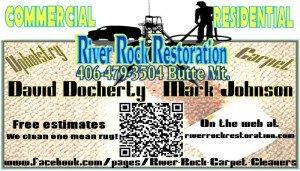 We are local owned and operated disc jockey service out of Butte Montana. You may have found this page by searching for Butte Montana Disc jockey, Wedding Disc jockey, Montana disc jockeys, Disc Jockeys Butte, Butte Mt Disc Jockeys, or something like that. However you found us It is a pleasure to help your plan you Montana Wedding. Our website has been proclaimed as a wedding planning service with all the information about wedding photographers, wedding venues, wedding catering, wedding salons, wedding gowns and formal wear. We have no affiliation to any of the business’s listed on here. we want planning your wedding to be as easy as possible and we offer our page free of charge. Please feel free to plan your wedding event and let us know if we missed anything for you wedding. Thanks for stopping by and have a fantastic day.